Wineware’s Top 5 Mother's Day Gifts for Mothering Sunday 2014! It’s that time of the year again where our thoughts turn towards that special lady in our lives, our Mother’s! Mothering Sunday is all about celebrating the caring and wonderful woman who has given you so much. Mother’s Day falls on Sunday 30th March this year, it’s the ideal opportunity to return the favour and show her just how much she means to you. If you require a little helping hand and some inspiration then we sure can help you, below we’ve listed our Top 5 gifts for Mother’s Day. We offer a great range of different gifts, from elegant champagne flutes to the perfect wine decanter! We are always here to offer a helping hand and make choosing that special present as easy and stress-free as possible. 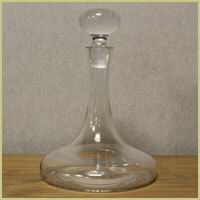 The Krosno Ships Wine Decanter is hand made and can hold a standard bottle of wine, perfect for the Sunday dinner! The traditional shaped decanter is allows wine to breathe and aerate, doing this enhances the flavour of the wine and therefore increases your enjoyment. The large, bulbous wine glasses for the Spiegelau Soiree range have a large capacity and is perfect of the those lovely red wines. It’s designed specifically to enhance the flavour of Bordeaux wines, but it can be generally used for all types of red wines. 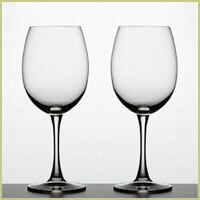 This 2 glass set is packaged in a gift box, making it a great gift for your Mum to unwrap on Mother’s Day! 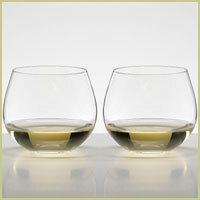 If your Mum is fan of White Wine, these elegant and wide bowled glasses from the Riedel’s ‘O Range’ will be perfect. They have been designed to enhance the flavour of Chardonnay Wines; this popular grape type will taste even better from these stemless glasses! The entire stemless O Range collection is machine made and dishwasher friendly. 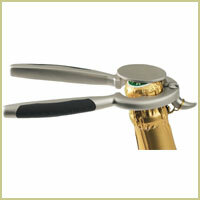 If your Mum enjoys a glass or two of champagne, then our Champagne Opener will really help the celebrations flow! The ‘clamp like’ system will prevent the champagne cork from hitting the ceiling and excess liquid from escaping from the bottle. You can even buy a bottle of bubbly for Mother’s Day to celebrate as well as this little gadget! To celebrate Mother’s Day in style, a drop of Champagne will really go down a treat! 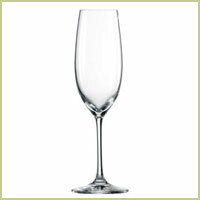 Our most popular champagne flutes would be a great gift, the Schott Zwiesel Ivento Champagne Glasses! These elegant glasses are made by machine and are available in a set of 6, as long as there’s plenty of champers to go round you can enjoy it all at once! If you’re still undecided on what to give your mum for Mother’s Day, why not let her decide and give a gift voucher instead. We have gift vouchers available in denomination of £10, £25 & £50.